Features unique artwork by Jeremy Paul. 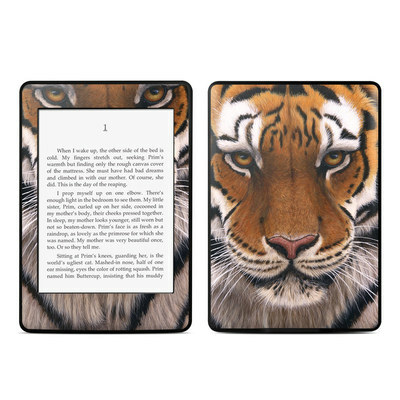 Remember, we offer over 1000 pieces of art as skins for your Amazon Kindle Paperwhite (Original). I love the fact it prevents scratches on the surface and isn't bulky like a leather cover would be. it's awesome that I can get my favorite Disney character. Finding anything Maleficent is kind of hard. 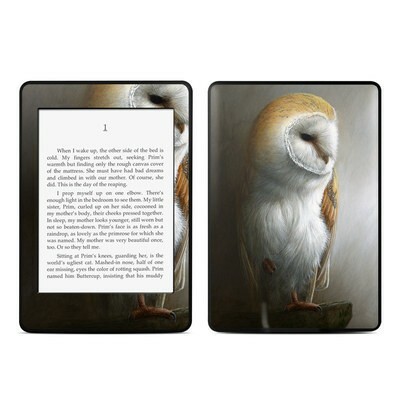 Bought this for my Kindle Paperwhite and it looks wonderful on it. This graphic is so unusual, it catches a lot of attention. I've had it for years on my Kindle, which I use frequently, and it still looks great! The graphics are so well done and the background colour really makes them pop on the device. This artist is a new favourite and the design makes me want to redo my other devices now. Stellar! It's perfect. It looks great and went on very easily. This is such a beautiful print and it makes the coloured case of my kindle pop even more. Very understated but classic. After seeing it on my ereader, I want to buy it for other devices, too. Simple design on the front didn't distract from reading. Focal point in the back is beautiful. Looks great. Love the colors, love the design. Perfect to spice up my eReader! The quality of the skins is amazing. I was totally afraid of messing it up during the instalation, but i'ts easy to move and adjust correctly. Once it's placed it doesn't move, and it fits perfectly in my Kindle Paperwhite. It looks wonderful! It took a little hard word to put on but on, but it worked. Worth it!!! I really like the pattern and it fits perfectly. The artwork is beautiful and I get a lot of compliments on it. Always a classic that I go back to. The minute my devices come out with this print, I get asked where I bought it. Very durable and no signs of wear after heavy use. I love the design and how perfectly it fits. The high gloss was a nice touch too! 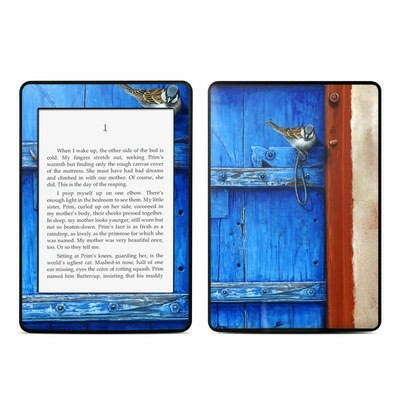 Love that i can customized my kindle decal with my design and it the price is reasonable. The quality is good. Loving it so much.. Very high quality product. Looks great on my kindle. Just installed on my paper white. Quality product and design. Looks great. The decal is so bright and colourful. It's nice and peaceful, not distracting. The color is a bit different than I expected, but still lovely and bright. Just what I wanted to cheer up my plain black Kindle case. 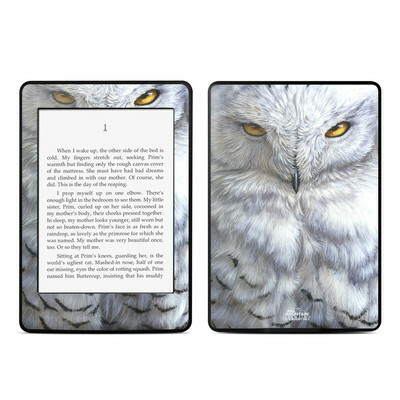 I absolutely love this design and it is just perfect for my paperwhite! I love this! It is absolutely gorgeous and now I don't get any fingerprints on my kindle while reading. Makes it easy to know which kindle is mine (there are 3 in the house). So pretty. Add a nice touch to my old kindle. Now it's like new again. Looks great and feels great! i love it! Worked perfectly for my grandma's 80th birthday present of a paper white! She was totally impressed with how awesome it looked! Stunning graphics and production value for the printing. It has kept my device in tact from fingerprints while reading and makes it easier to hold when I am using one hand on the bus. Just beautiful! The skin is great; picture is mesmerizing, skin is easily attachable and durable. I love it! A gorgeous design that has the perfect balance of color and black for contrast. 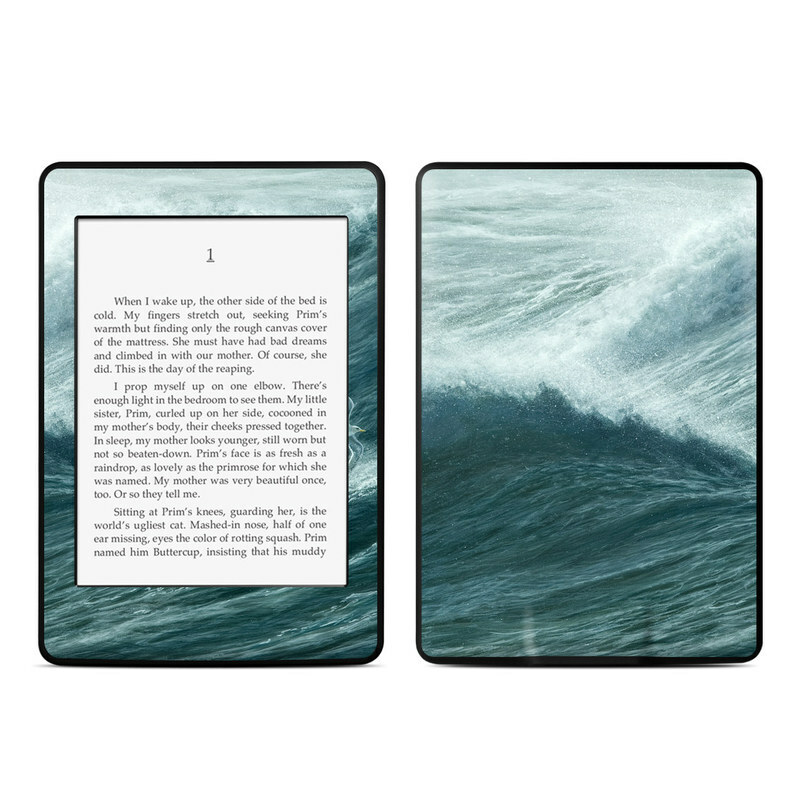 It's gorgeous to use for display when not in use, and it's simple enough not to be a distraction while actually using my Paperwhite. Loved the matte finish, stuck on perfectly! Loved it! Edges need to thin out so they are not as sharp when your fingers pass over them but otherwise very cute and good quality. Functional & pretty. Enables me to identify my Kindle easily, as we have three in our household. Looks great, feels great, just perfect! Wonderful quality of color and picture. Love the matte finish. Arrived quickly too. Wonderful quality of color and picture. Love the matte finish. Was easy to put on my e-reader. It is holding up beautifully.